Our bedroom is one of our most favorite places in the house. It is where we sleep, relax, chill and feel comfortable. We always feel good when we are in our bedroom. It is like our peaceful sanctuary. Most people want their bedrooms to be always clean and organized. If you have a smaller bedroom than what would be considered “standard” by a home expert (common in some Philadelphia townhomes) and want it to appear bigger, simple solutions are at your fingertips. Just a few adjustments of your furniture, color choices, and lighting will make a huge difference. Try these easy tips for maximizing the space of a small bedroom. First, empty the bedroom of all its contents — that includes furniture, clothes, books, and knickknacks. You’ll quickly find that a lot of the “stuff” you have in there isn’t necessary. If you don’t use a piece of furniture at least once in the course of a week, it doesn’t have to be in your bedroom. All of the excess items in your small bedroom that aren’t immediately necessary in your room, such as out-of-season clothing and books, should be placed in storage or under your bed for future use. Planning a small bedroom can be fun (honestly). With the right design tips and techniques, you can turn your snug room into a dreamy retreat. From clever storage solutions to multitasking furniture, these great ideas will breathe new life into your compact scheme. 1. Stick to a limited color palette. If all white isn’t for you, bring in your favorite colors, but in a thoughtful way. Here, the brights are limited to reds and oranges — which work beautifully with the brick wall and wooden furniture — and are teamed with plenty of white for an airy feel. 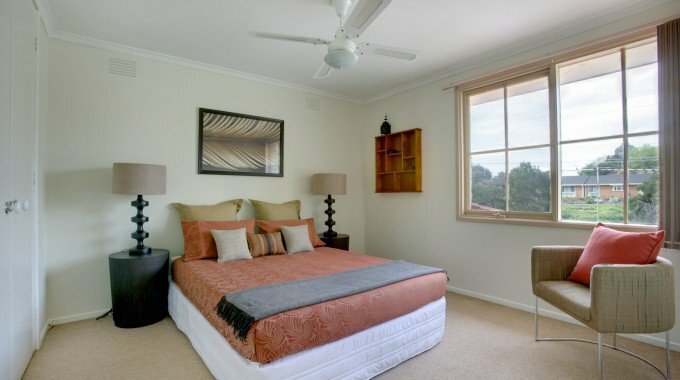 After going through all these transformations and you’re still not satisfied with how your bedroom looks, you can always go for a home extension. You can always visit our gallery of extensions for some ideas for your home. Homeowners will never regret spending much on something worth it. Always choose to be comfortable and happy.